HomeCar Servicing FAQ'sWhen is my car service due? As a rule of thumb, your car needs to have a full car service every 12,000 miles or every year – whichever comes sooner. In between service intervals, you can have general check-ups, such as our Essential Car Care and Interim Servicing. These will help to ensure your vehicle is kept in the best condition possible. We also provide manufacturer servicing for all the major makes and models using the manufacturers’ official service schedules to check when your service is due, and which type of service is needed. Regular servicing will help keep your car running smoothly. It also can identify potential problems early on, and reduce the risk of them developing into more serious and expensive problems in the future. Regular car servicing is a basic, but vital, way you can help to stay safe on the road. Many modern cars are now fitted with on-board computers that can keep track of when your car service is due. If your car has this or any other self-diagnostic features, we advise you not to ignore warnings that flag up – even if they occur before the 12 months or 12,000 miles mark has been reached. We have a full range of servicing options, to match every car make and model, and also interim services to keep your car running smoothly between full services. Your service will be carried out by one of our team of service technicians. You can save on your annual car maintenance costs by booking your service at the same time as an MOT to combine the two. 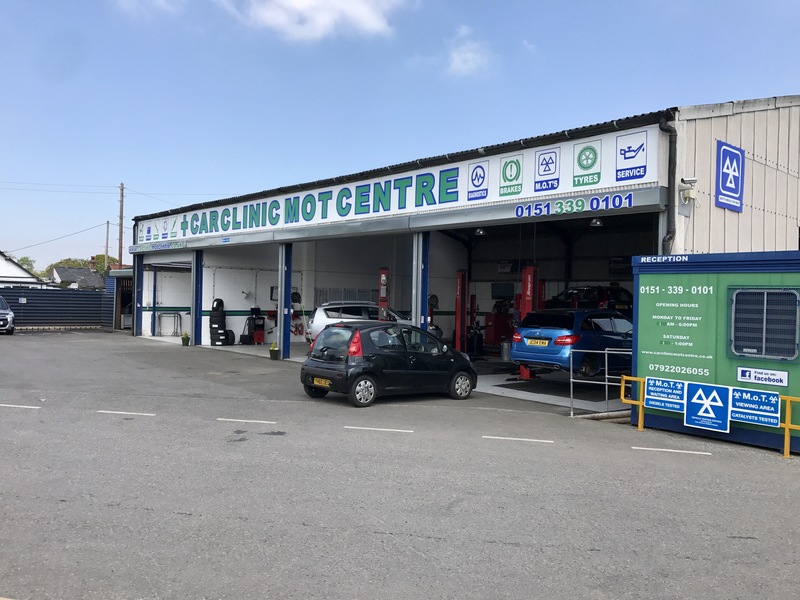 Don’t delay, call Car Clinic MOT Centre Ellesmere Port now for a free no obligation Ellesmere Port car repairs quote and book an Ellesmere Port car servicing appointment for your vehicle at the same time.